Matador Contributor Beebe Bahrami just released a new book covering Madrid, and fellow Matadorian Susan Greenwood gives us the lowdown. Beebe Bahrami’s Historic Walking Guides Madrid offers a refreshing change to typical mainstream travel guides. While you get must-see museum and monument stops around Madrid, you also get an amazing slice of rich history. 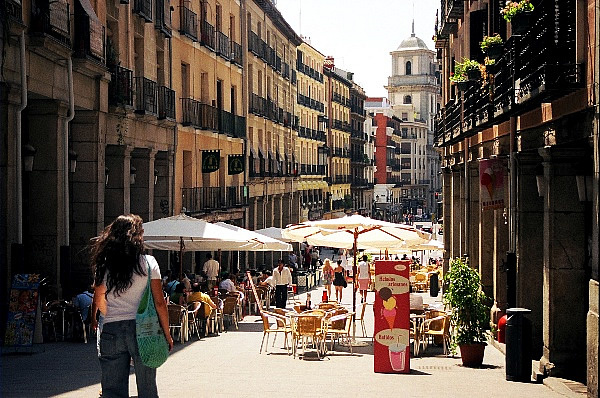 Historic Walking Guides Madrid offers eight specific walks through Madrid’s history. These walks include historic eras such as Medieval Madrid, Hapsburg Austrian Madrid, Bourbon enlightenment, writers, artists, wine taverns, and mysteries. Each walk includes a simple map and step by step walking directions – being a challenged map reader, I truly appreciated the directions. Additionally, Bahrami includes anecdotal historic notes for each stop on the walk that actually allowed me to visualize and imagine I was literally part of Madrid’s history. Not being your typical tourist content with well-known pit-stops, I was thrilled to read behind-the-scenes stories of Madrid’s different ruling dynasties from Muslim influences to modern day contemporary lifestyles. Bahrami’s stories about significant writers and artists influential to Madrid’s past give a sense of being in these people’s shoes by weaving in the day-to-day human element – a detail that many mainstream travel guides seem to lack. Being a huge fan of the Spanish practice of eating tapas while sipping a little wine, I personally favored the historic wine taverns walk, and can’t wait to experience the walk myself when I return to Spain this summer. Historic Walking Guides Madrid is a reasonably priced book, and for those of you who live large, glossy photographs, there are none in this book. However, the black and white photos in this book give a general idea of what Bahrami is writing about. Quite frankly, Bahrami’s vividly descriptive language is such that I didn’t miss seeing colorful photos. Simply put, Historic Walking Guides Madrid is an easy, informative read that I am looking forward to using on my next trip to Spain. Check out these articles covering Spain by author Beebe Bahrami: Eat, Pray, Love In Spain, and How to Rock a Tapas Bar When Traveling Solo.